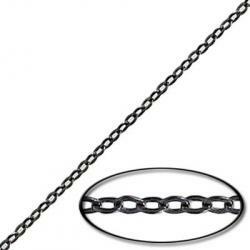 Soldered chain cable flattened link (1.5mm wide), 30 metres, black nickel plate, brass core. 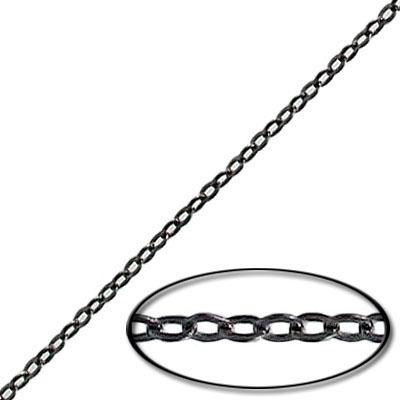 Frabels Inc.
Soldered chain cable flattened link, 1.50x2.0mm link, 0.30mm wire, 30 metres, black nickel plate, brass core. (SKU# CC/235SF/BN). Sold per pack of 1 spool(s).